DESCRIPTION: Heavily textured mixed medium abstract landscape painting on 2″ deep museum-wrapped canvas. This painting was created using Solfeggio Frequency 963Hz Music to infuse higher self awareness vibrations directly into the artwork. This piece will bring much happiness and enlightenment to the room in which it hangs. “Glimmers of Hope” is now on display and available for purchase at Roxy’s Art Gallery of Local Expressions located on Spring Street in Eureka Springs, Arkansas. 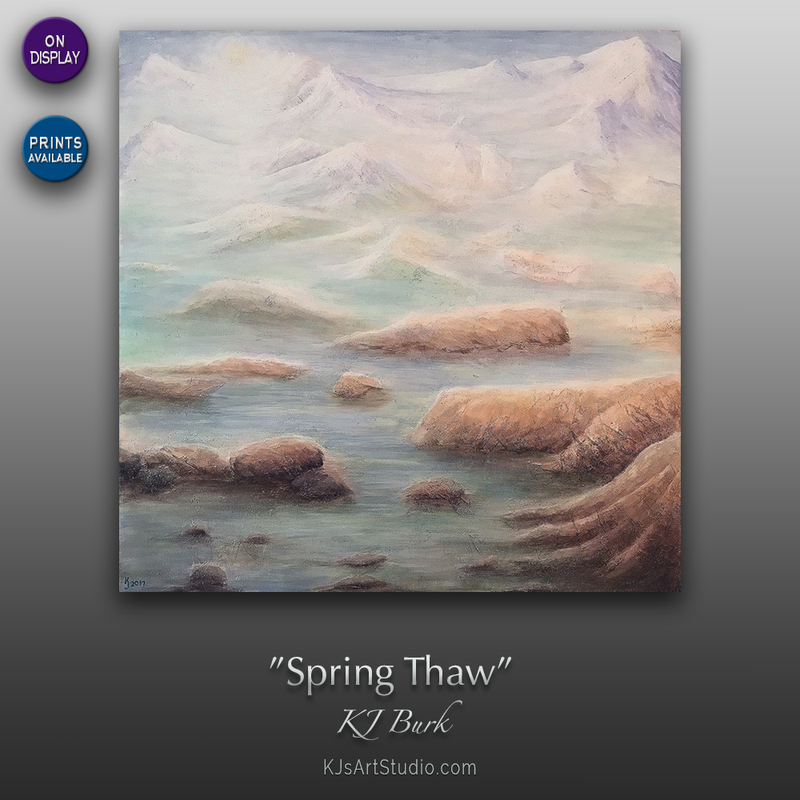 “Spring Thaw” is now on display and available for purchase at Roxy’s Art Gallery of Local Expressions located on Spring Street in Eureka Springs, Arkansas.